The SLUSH Impact Pitching Competition - GKTA Group Ltd. 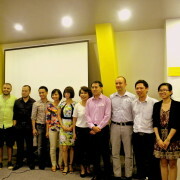 Recently, the SLUSH Impact Pitching competition was held in Hanoi. Co-sponsored by the IPP and HATCH!, the competition featured eight teams that came from across Vietnam to compete in Hanoi for three potential slots to go to attend this year’s SLUSH competition in Finland. Below are the startups and a brief summary of each team. This startup seeks to provide a sustainable source of protein; according to the team, there is a growing demand of protein globally but the supply cannot keep up. Looking for a cheap source of protein, Alexandre de Caters and the rest of the team identified insects as a potential source. During his pitch, de Caters stated that the price of protein is increasing but the technology isn’t there at a large scale. Entobel was founded in 2014 to help address this problem and it is focused on mass insect rearing, specifically, the tropical fly. So the team hopes to use the protein as an additive in human food, potentially replacing fish meal. Currently, they have a pilot plant in southern Vietnam and hope to establish the first industrial plant in Vietnam by 2016, which is expected to have a capacity of producing 500 tons per year of protein. 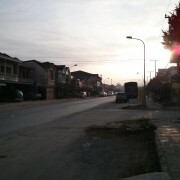 The team is comprised of scientists in Europe and two Belgians in Vietnam. 4. Experience a variety of topics and understand themselves and follow passion. Thus, Tomago Education is inviting industry professionals (who have open minds) to participate and who want to give back to the next generation. In essence, the Tomago Education team calls themselves instructors and students on the same basis; i.e., they get in touch with children by becoming their mentors. Currently, the non-profit organization has 35 students with nine instructors and the three co-founders (including Long Le) are full-time. 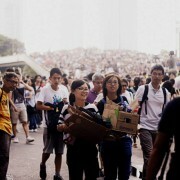 Students are charged a tuition of two million Vietnamese dong (approximately $100) per two month course and the pricing model seems to be popular with more than 100 students currently enrolled. Classes are held on Saturdays and Sunday, with one unit completed every six months. According to Mr. Kim, the father of HandyTrail, it’s a “game-changer in the tourism industry” and another co-founder, Nguyen Thi Thu, shares this sentiment in addition to sharing a love for traveling and the betterment of the community. According to the team, there is demand for sustainable development of the local tourism industry, in particular handicraft trade which allows HandyTrail to collaborate with NGOs, local government, and local entrepreneurs as part of their offline component. 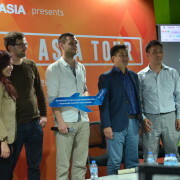 HandyTrail expects that its revenue streams will be from three products: an online website handytrail.com; HandyTour, a smartphone travel app with a chat window and games; and HandySales.club, an online advertising service which connects handycraft makers to customers. Already the startup has gained traction in the form of an MOU with the Seoul Metro Station. The startup seeks to address the issue of overcrowded hospitals in Vietnam and “unbalanced high-quality human resources” by introducing its iTelem System, which is video conference for training, tele-diagnosis, and tele-consultation in medicine, allowing diagnosis by computer instead of traditional film. It’s already tested the technology in Gia Dinh People’s Hospital in Ho Chi Minh City during an open heart surgery where three windows on a screen showed the patient’s vitals, the operating room, and consultation room. iNext Technology’s Ngoc Nguyen-Chi claims that their service is 30% the cost of its competitors such as GE, Siemens, and Philips (its system can connect to both GE and Siemens products). The team is currently seeking $300,000 in funding. Livegreen focuses on green development, both professionally and personally. Bui Viet Ha, CEO of Livegreen, has a dream of people living in the world with harmony and children enjoying beautiful lives. In 2001 Mr. Ha studied in Sweden where he began considering green concepts but it wasn’t until 2011 when he launched the first and only social network to promote a sustainable living style; then the cafe came in 2013. Ultimately, Livegreen seeks to train and change the behavior of people to more sustainable methods. By changing lifestyles everyone can make a more positive impact in the environment. According to Mr. Ha, we need more people to lead better lifestyles but green things are not fun since people do not see the results and it can be time consuming. So the there is a lack of “continuance and connection” which is not sustainable in the long term. Enter Livegreen. Currently, training for a new and greener lifestyle through Livegreen lasts six weeks and it is sponsored by NGOs. The platform is actually three things: a games center, a social network, and marketing for businesses. Livegreen customizes a game for each customer and keeps track of individual users. So Livegreen helps users change behavior via the game, which allows users to practice a new method and apply it in daily life. Also known as “Trace Verified,” this startup is a social enterprise serving the Food Transparency Alliance (FTA) to address “pervasive problems in Vietnam’s food market.” According to Nguyen Thi Hong Minh, there is a significant disconnection between responsible food producers and consumers. So Trace Verified seeks to promote a culture of transparent and traceable information in food safety in Vietnam in part via the startup but also through the FTA. The FTA is a voluntary community of responsible SME food producers. 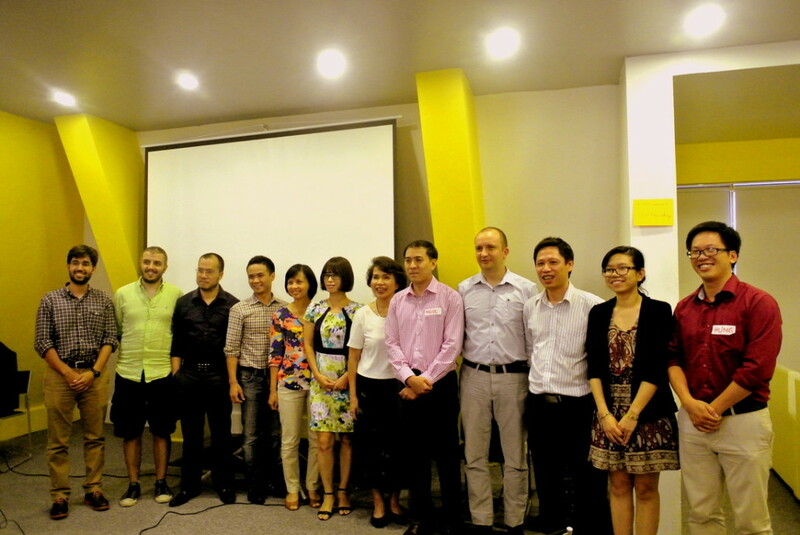 The startup portion is a social enterprise company under Vietnam’s 2014 Enterprise Law. In effect, the startup is a service provider for the FTA. Members of the FTA pay a yearly subscription for electronic components as well as QR codes. The social impact of these two organizations would be on SME producers, farmers, and, of course, consumers. Essentially, food producers can increase revenue by guaranteeing high-quality food and consumers can get high-quality food products. 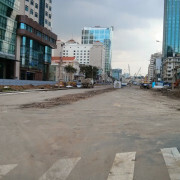 Currently, the product is live with exporters and the team is now focusing on the domestic Vietnamese market. 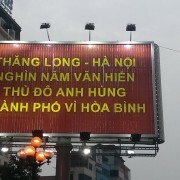 Retailer Big C uses the methodology for ensuring high-quality pork meat in the supply chain; some corporate sponsors include Deloitte Vietnam, The Saigon Times Group, and Vinh Hoa Corporation. The startup is also supported by the Danish government and the FTA has support from Vietnam’s Ministry of Health. In terms of market potential, 16 farmers are immediately targeted with a total market of about $29.5 billion dollars, according to the team. Also known as Vietnam Biocoal, Long Phuong Thinh has focused on developing biomass renewable energy in the form of pellets from recycled agriculture. According to the team, the pellet market expected to grow by 2020. Vietnam Bifocal currently has four years experience in machine produced products and just switched to pellets this year. There is some competition in the EU but those products have a higher price than Vietnamese biocoal so the startup is hoping to target Russian customers, even if the biomass market pricing has gone down recently. This startup wants to bring heat-resistant probiotics to farmers in Vietnam and around the world. It has developed beneficial bacteria that can withstand 100C, thereby increasing faming productivity. According to CEO Huynh Minh Viet, clean food suppliers are increasing and aquaculture production is under pressure from diseases so antibiotics are being used (and the unclear origin of beneficial probiotics is an issue as well). With its pilot plant in Thanh Hoa province, BioSpring is able to produce 250 tons of its probiotics per year and can supply about 10 feed mills. The product has been in the market for several months already and BioSpring is currently looking for partners and investors with a 30 billion VND (~$1.5 million) valuation. As part of its pilot program, it has figured out how to produce the probiotic due to angel/self-funding from five people and will looks to optimize its mixes for pigs, chicken, shrimp, and fish. Right now, the plan is to sell to feed mill and farmers who can test it and evaluate the quality in order to quantify the impact. The startup claims to improve the growth of a pig by 5%-10%. For example, a farmer pays 60,000-90,000 VND for the product and can obtain an additional 100,000-200,000 VND premium for the pig based on additional weight after three-to-four months. Mr. Viet even gave a demonstration by consuming the probiotic himself, showing that the product was safe for human consumption. The next step is for the startup to obtain the appropriate certificate to scale up production. The winning teams were iNext Technology, Trace Verified, and BioSpring. One of the teams might actually get the chance to participate in SLUSH Impact 2015 in Finland since they will be presented to the SLUSH selection committee via a fast track. Overall, the teams were varied in their origins as well as geography but it was clear that pitching skills needed to be improved in order to distill relevant information during the five minute time-limit. Still, many of the startups outlined relevant challenges and presented feasible solutions; one surprise was that there was so much focus on agriculture, in particular animal feed. Perhaps we will witness the convergence or cooperations of a few of these ideas/startups since they are operating in similar spaces. Stay tuned! To find out more information about the event see here.